Many designers and bloggers have incorporated several different widgets into their WordPress blog or in portfolio websites, including music player which gives that extra special vibe and build customized JukeBox on the WordPress website. There are thousands of premium and free music player plugins for wordpress blog available around the world. Instead of spending time on research for the ones you looked-for, we pick and choose the some of the best free music player plugins for your WordPress blog. Below, you’ll find a collection of Free Music Players Plugins For Your WordPress Blog by which you can increase your productivity. 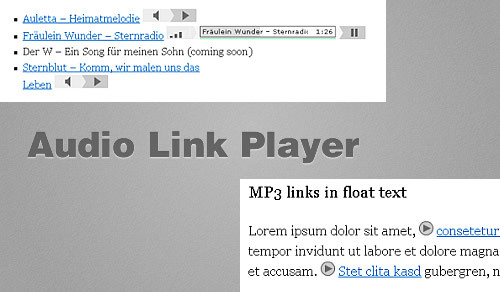 An mp3 player for pages and posts, optional widget and shortcode, template tags. HTML5 / Flash, works on iphone and ipad. Integrates Happyworm’s jquery.jplayer that can use HTML 5 or Flash as needed. 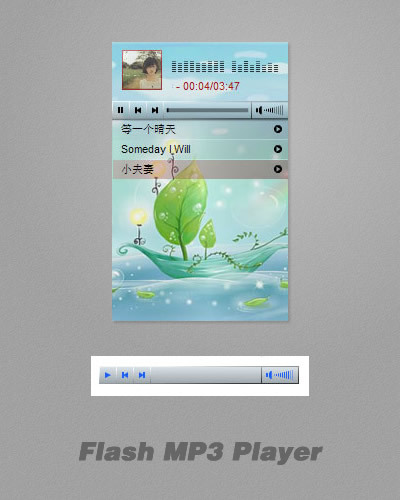 Now, this plugin use JW MP3 player v2.3 as its core. 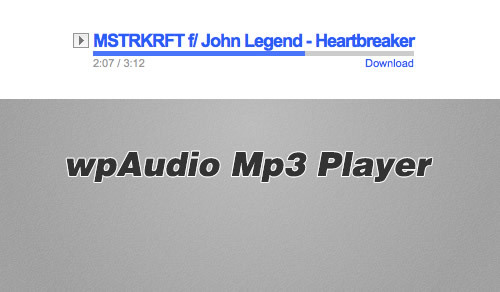 MP3 player plugin allows you to upload .mp3 files to your wordpress site and embed player. Put a simple MP3 FLASH player (Dewplayer) on your WordPress blog and link MP3 from your post, page, archive plus shortcode. Audiobar is a stylish audio player bar that continues playing when visitors browse. 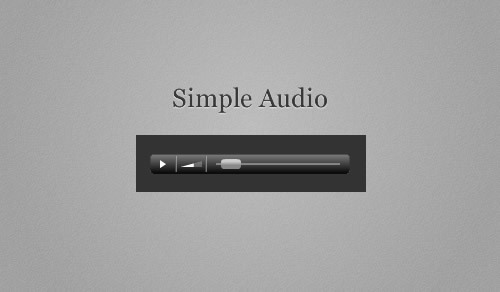 Video and audio plugin for WordPress built on the MediaElement.js HTML5 media player library. Provides Flash or Silverlight fallback players for non-HTML5 browsers. Supports iPhone, iPad, and Andriod. 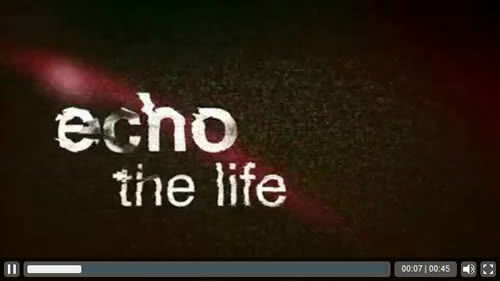 Supports MP4, OGG, WebM, WMV, MP3, WAV, WMA files as well as captions with WebSRT files. The Yahoo! Media Player plugin embeds a media player on your page in a collapsible drawer. 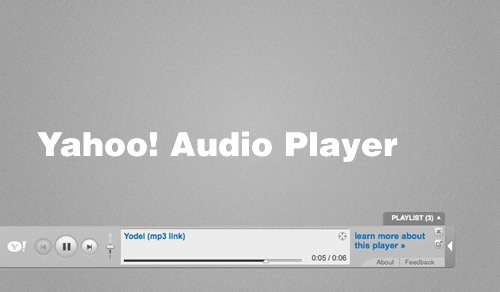 This player allows your users to play embedded links on your page to music files, YouTube videos, and Yahoo! movie pages. Also, you can provide an Amazon Affiliate Code to monetize purchases made via the plugin. There are a lot of mp3-playing WordPress plugins available out there. This one aims to keep things simple and classy by employing the Google Audio Player service and an MP3-finding Auto-Embed script. 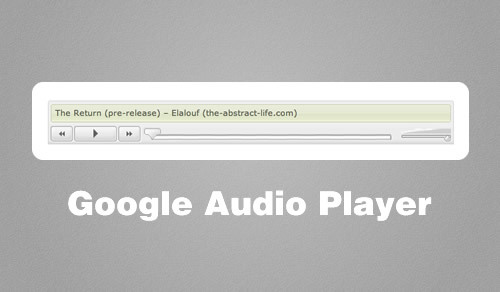 Uses Google’s Audio Player for MP3 content on your WordPress website. Options page to configure player width, size, & background color. Option to Auto-Embed the Google Audio Player, seamlessly replacing all Anchor tags (<a …>Text</a>) with the Google Flash Player. Option to Auto-Start the player on page load. Install directly from WordPress (just go to Plugins -> Add New) and start embedding mp3s immediately. Now you can choose to convert all mp3 links or only the ones you select, and you still have the power of advanced tags. 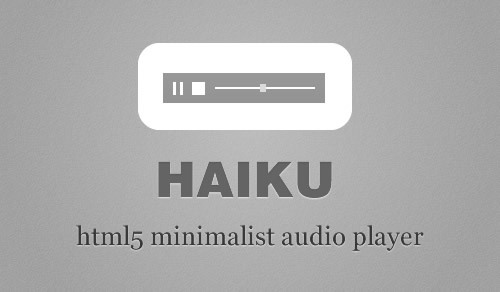 A simple HTML5-based audio player that inserts a text link or graphical player for audio playback. Compatible with WP Audio Player style links, fully accessible and degrades gracefully, and includes Google Analytics tracking of audio plays. Based on jPlayer. The plug-in differentiates between mp3 links in floating texts, mp3 links as images and mp3 links in lists or on single lines. 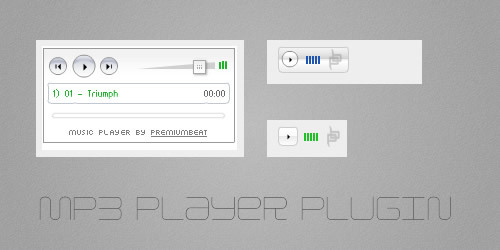 For every situation the plug-in decides which is the best player solution and include it in your blog. The easy and flexible way to add an MP3 player in your Blog’s sidebar. This super-simple plugin allows you to easily play any MP3 as a sidebar widget on your blog. Bulletproof Functionality – Just enter the song URL and go! Easy Settings – Upload a file or find one online, choose to autoplay the track, repeat, and more! Fast Customization – Changing the options, such as picking a new song or adjusting the settings, is a snap! 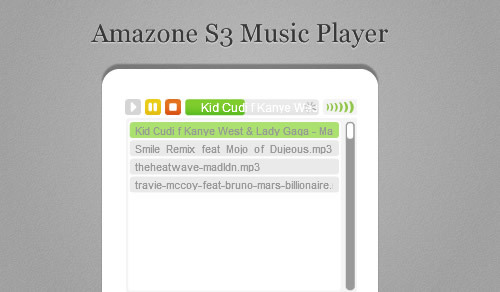 Upload Music to your amazon s3 account and then stream it directly from your acount onto your blog. Add to sidebar off blog or add to page with shortcode. I always preferred Haiku, over others. I use the Simple Music plugin. So easy to just slot it into your sidebar 🙂 Great list. Nice resource…………. would like to see more in future too! 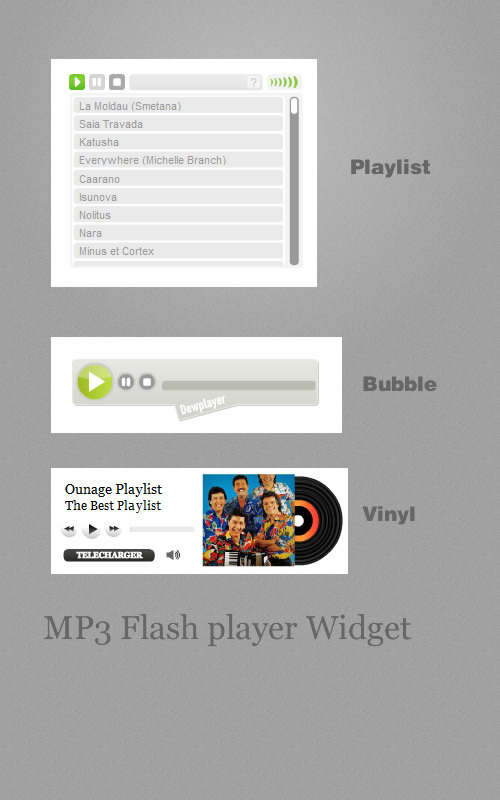 Awesome, the mp3 flash player widget is my favorite. I’ve been using the Audio Player Widget plugin on my personal blog for a couple of years, but I’ve been looking for something a little more versatile. I’ll definitely try out these others you mention. Thanks! I was just at your website and I wanted to mention that it was JAWS (blind disabled software) friendly. I also wanted to tank you for all off the information you provided about mp3 players..
One of my favorite music player plugins for WordPress is Uber Audio. It works with both desktop and mobile devices, it’s easy to use and the best part is you only need to upload 1 MP3 file. It can be found at http://wordpressaudio.com if you want to check it out.